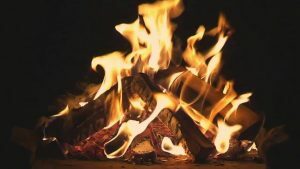 summer, as a result of a new wooden deck replacing an old, rotten one and build a fire that would not be subject to a nosy neighbour or a red indicator on the fire ban sign, and reflect on Brown’s poem and it’s connection to education and innovation. As I built the triangular base in the firepit, I was conscious of ensuring that there was room for natural air flow. The small twigs, were nestled beneath the larger planks and the small amount of paper was gingerly crumbled to ensure that once the match was struck and contact was made, a flame would evolve. A flame that would lead to another flame and so on, until enough flames would begin to encircle the wood and it would come to life with dancing flames. But always ensuring there is enough space for the flames to dance and to demonstrate their brilliance. Knowing that adding lots of planks of wood would only smother the fire and not allow it to grow and reach towards the sky. As I reflect on the current state of education, I can’t help but wonder if we are leaving enough space or are we piling on the “wood”, plank by plank ~ hoping for a bonfire, but instead becoming frustrated with the bursts of flames that die down as fast as they ignite. It is in those moments of air, when we stop, question and truly reflect on the moves that we’ve performed. It is during those moments when true change will occur. That is the magic ~ that is the dance of the enduring flames. 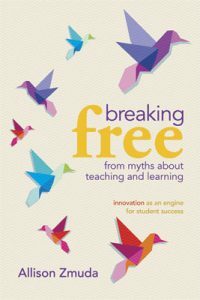 And yet, there seems to be an unlimited number of strategies that one can try in order to improve student achievement. And with the best of intentions, it seems as if everyone is trying to get through their grocery list of things to try as fast as possible ~ somehow thinking that more strategies (wood) will equal greater results (bigger bonfire). Brown refers to the open spaces as the fuel; not the wood. How will you fuel the fire of learning in your classroom, in your school, in your organization? The answer might not be the next “greatest strategy that you find on Twitter or Pinterest!